Starting as real estate sales consultant at Harcourts Papakrua 2004, Corinne's career has been from the ground up. Having experienced all facets of the industry, in all kinds of market conditions, Corinne figured out that Real Estate was in her DNA. Becoming Branch Manager of Harcourts Papakura Corinne has worked tirelessly to achieve tremendous results with the team - taking many office awards both regionally and nationally. Furthering her education and completing all the relevant New Zealand based qualifications has enabled Corinne (along with husband, Dale) to buy out the office. Between them Blue Rock Realty Ltd was created. Delighted to be able to bring Glenis Shirley on to manage the Papakura branch and expand to include the new office at Karaka. Helping people to make successful property decisions is a passion. Corinne is very proud to lead the fantastic local team that make up the Blue Rock Franchise across Papakura and Karaka. Many of whom started with the firm before her as well as many others who have benefited from the training and experience Corinne brings. The future is looking very bright here at Harcourts Papakura - anyone considering a real estate decision, be it buying, selling or changing careers would be well advised to come in for a chat with Corinne first. 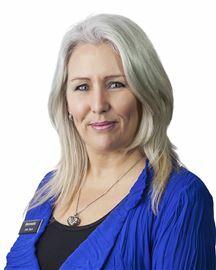 Glenis knows that what people really value in their Real Estate agent is commitment, communication and honesty. Using this philosophy to build rapport not only with her clients, but also with potential purchasers, Glenis has experienced far reaching success in all aspects of the local market. Glenis sets high standards for herself, and gains huge satisfaction from seeing the smile on a new purchaser’s face, or achieving the goals set out by her sellers. Glenis is inspired to motivate her team to enable their clients to embrace all opportunities and achieve their goals. Glenis’s strength and passion is the training and mentoring of both new sales consultants to the Real Estate profession, and those who have been in the profession for some years. 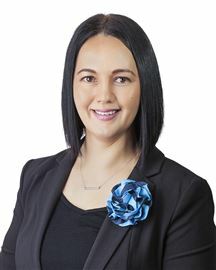 She is proud of the team at Harcourts, Papakura for their professionalism, their enthusiasm and their love of the Real Estate business, attributes which have made Harcourts, Papakura the sought after company in Residential and Rural/Lifestyle areas of Real Estate in this exciting growing area of South Auckland. • Lived in Papakura since 1992. • In Real Estate since 2004. • Deliver a high standard of service. • Regularly mentioned in the Office Top Performers awards and in the Northern region top 100. • Always had a passion for real estate from the time of her first purchase 27 years ago. • Currently achieved $75 million in settled sales. Anita’s goal is to make the process of buying and selling a home as painless and stress free as possible for everybody concerned. Ashish has joined real estate to make a difference in peoples' lives. Based on his previous work experience as an Senior Finance Advisor, he is paramount on putting his clients first. Honesty, Integrity and Trust are the foundation to his values. His passion, can-do attitude, enthusiasm and willingness to go the extra mile will exceed your expectations. He will simplify and make understanding real estate easy. When buying or selling your biggest asset, Ashish will make it a stress-free experience, which will achieve the best outcome for your real estate needs. Give him a call today for a free market appraisal. Belinda came from China when she was 21, and has lived and worked in the South Auckland’s community. After 15 years of exceptional customer service and sales, Belinda has decided to shift her energies and enthusiasm to the world of Real Estate. Joining the award winning team at Harcourts Papakura, she is backed and surrounded by a highly successful team. 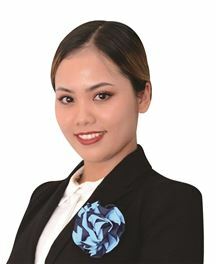 Her international background and selling experience coupled with her fluent speaking of English and Mandarin are ready to deliver excellent service to all her clients. She is honest, enthusiastic, with an eye for detail and will work tirelessly to achieve the best for her clients. 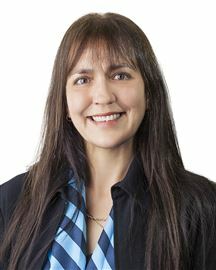 Belinda looks forward to working with you to achieve the successful outcome whether you are looking to sell or buy real estate. Looking for an agent that listens to your needs then you have come to the right place. Don’t look any further, call Belinda today. Harjinder is a very enthusiastic, hardworking and committed salesperson with a strong passion towards real estate. Harjinder having bought and sold his own homes can deeply relate to people’s emotions and sentiments when it comes to selling or buying a property. 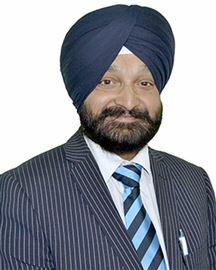 Harjinder has a background in the field of electronic and print media. He has over 21years’ wealth of knowledge and expertise in the field. Harjinder has great listening and communication skills and prides himself in being honest, approachable, and trustworthy and has a positive attitude. Buying or selling a house is a very big step for everybody and you deserve an agent who is motivated, professional, trustworthy and dedicated towards his work. Harjinder is always happy to go the extra mile and is someone you can always rely on. So think no further, pick up the phone and call Harjinder now!! Raised in South Auckland, Karl and his family have lived on their 10 acre lifestyle block in Drury Hills since 2003. Married with two teenage children at College; both are busy playing high level sports. 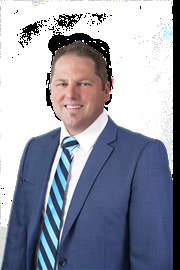 Karl has over 15 years experience with Harcourts Papakura. Over this time he has accumulated an impressive multi award winning sales record; - his latest achievements include: No1 Rural Salesperson for the entire Northern Region 2017/2018 and BCRE Limited (Franchise) their No1 Salesperson 2017/2018. Prior to real estate Karl represented New Zealand Rugby teams through the ages as well as captaining NZ Colts. He played professional rugby in Japan for six years and achieved national honours in a number of test matches for his adopted country at the time. Karl is a highly motivated and very enthusiastic sales and marketing professional who will listen to his clients needs. He believes in what he says and does and is very results focused. Living rural has made selling lifestyle properties a natural progression. You can be assured his clients are getting a very professional and experienced agent. Honesty, transparency, empathy and total professionalism matched with the superior negotiation skill, that’s Karun Narayan’s promise to every single one of his clients. Karun has a long career in customer service, in the areas of banking and mortgage broking. 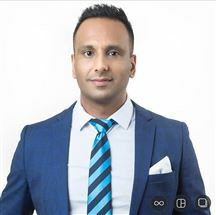 Prior to becoming a real estate sales consultant, Karun instilled the knowledge that delivering a level of service and an end result above and beyond his client’s expectations is the fundamental element in a successful real estate experience. Bringing this knowledge to all of his business dealings means Karuns clients are assured they’re in expert hands. Wherever you are on your property journey, Karun will work to make sure you are well informed, empowered and in control of the process from start to finish. Karun understands that every property is as unique as you are, that’s why Karun likes to work intimately with his client to ensure he understands their needs and aspirations. Karun will work closely with you to ensure a tailored approach that helps you to achieve success. Extensive product knowledge plus high-end negotiation skills means Karun is an excellent choice if you are thinking of buying or selling. Joining Harcourts has given Karun the ability to offer his clients the ultimate experience, giving clients a whole new level of personalised service, whilst accessing the industry’s best tools in technology and resources. Using the latest in custom designed real estate technology, Karun is able to help you create a tailored, custom marketing plan, finding real time sales data in your local area, and giving you access to all of the information relating to the sale of your property in real time. Karun believes he is only as successful as his clients, so you can rest assured that he will be totally committed to your success. For the skills and personal service you want from the agent selling your home, Karun Narayan will deliver. Born, raised and still residing in Papakura, Leanne is a genuine area specialist. Leanne recognises the buying and selling of real estate can be a stressful and confusing time, so she focusses on educating her clients, ensuring they are confident & comfortable with their decision making throughout the process. By working WITH you, Leanne offers a dedicated, transparent and honest service. No fluffy’s, just facts. A large part of Leanne’s business comes from referrals and she takes that trust very seriously. A compassionate listener and problem solver makes Mandeep a natural born sales consultant. Based in Addison, Takanini with her mortgage broker/accountant husband and two small children – Mandeep thoroughly enjoys meeting people and assisting with their Real Estate moves. Genuine passion and drive to see others also make homes locally and achieve their dreams with Real Estate, sets her apart from others in a rare manner. • Compassionate • Hard Working • Focused Mandeep will help make your Real Estate decisions simple. Peter has lived and worked in the Manukau area most of his life. It is this familiarity of the area that has nurtured a genuine passion for the Manukau community and its people. During his career he has gained extensive experience in sale and marketing and international trade negotiations. Most of his career has been at a senior level with one of the world’s largest motor companies and later with two significant New Zealand exporters with emphasis on International business development and sales. 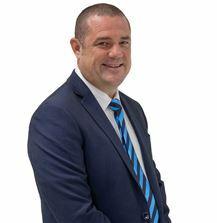 Peter has always had a strong passion for the real estate industry and owns a number of properties within the Manukau area. His passion for the industry and training under the latest real estate legislation gives him all the tools he needs to provide the best professional service levels to both buyers and sellers. 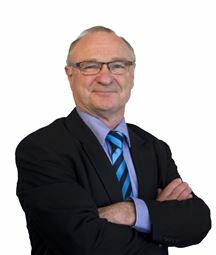 A strong sense of integrity and honesty coupled with enthusiasm and high energy levels ensure that Peter will provide you with the best advice on how to effectively promote your property in a way that generates strong interest and achieves the best possible price while keeping you well informed of progress during the process. Peter lives in Hillpark, Manurewa with his wife and two sons. During his spare time, you will find Peter spending time with his family, mountain biking or working on his family tree. Phuong has recently joined Harcourts Papakura as a residential sales consultant after working many years in her parents’ business. Moving on from her parents’ business, she has been inspired to become a property sale consultant. She is fluent in Vietnamese and English. Phuong worked as a Registered Nurse in New Zealand for 5 years which has allowed her to develop excellent communication skills. She is exceptional with customers and lives by the motto that customers always come first. She is passionate about helping people, assisting them in making the best decisions regarding their properties and helping people achieve the best results. Give Phuong a call today - you won’t regret it. After 28 years in the transport industry managing a range of fleet, staff, deliveries and clients - Sam’s venture into real estate is a new and exciting career path for him. His previous work experience has provided him with a broad skill set but putting his clients first is paramount to his success. “Listening to the customer is important to me and I will always make the time for my customers” With ambition up his sleeve, Sam works hard at building relationships and aims to deliver for all his clients. Being based in South Auckland, Sam knows the area and community well. He brings passion and enthusiasm with him and looks forward to working with you to meet your real estate needs. Shane is a member of a very experienced sales team at Harcourt's Papakura being a well trusted brand in the greater Auckland South region. Specializing in rural and residential properties with personal experience in trust properties and subdivision consents Shane can assist clients in a wide variety of areas. From a previous career path in aviation Shane holds strong technical and ethical strengths that are absolute requirements where integrity is most needed. Whether you are selling, buying or investing, the process deserves the best support. Living locally on a large lifestyle block in Ardmore for the last 25 years Shane is married with two adult boys and occasionally finds time to enjoy the farm. 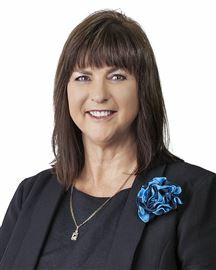 Wendy has professional sales knowledge and skills in the real estate industry as she has had more than 5 years working experience within Harcourts. 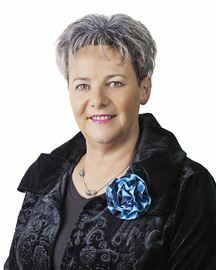 Caring, honest and a warm personality has been the key to helping her many clients to sell their properties in the past. As a local agent, Wendy understands different cultures, speaking both English and Chinese, giving her an advantage in our multicultural community. She has strong communication skill and respects people; she always works hard for her clients to achieve their goals. Wendy is very proud to be working with a strong sales team in the Harcourts Papakura Office, and will work together with them to provide sound professional service for her clients. Wendy believes that if you care about your clients, they in turn will trust you, and work with you! If you are thinking of selling or buying a property, give Wendy a call and see for yourself what she can do for you. Friendly, professional and enthusiastic, it was really only a matter of “when” Carol would pursue a career in real estate. Her long-standing passion for anything ‘property’ and her own personal experiences in buying and selling houses means Carol understands perfectly the emotions and challenges that people face during that time. Being able to help people with one of the biggest decisions of their life, she believes, is an exceptional privilege. Those who know Carol appreciate her natural empathy, total honesty and warm bubbly manner – all attributes being a perfect fit for a real estate agent! Her previous career as a naturopath places consideration for people’s general well-being extremely high on her list of priorities. This together with Carol’s genuine cheerful and caring nature ensures you will receive exceptional support, compassion and also enjoy a few good laughs along the way! Carol lives in Conifer Grove and having resided in the Papakura area for nine years, she is deeply passionate about this beautiful piece of Auckland. Please don’t hesitate to call Carol for a free, no-obligation market appraisal of your home, or if you just want to have a general chat about real estate, Carol would love to hear from you. Maxine has a keen talent for building very strong relationships and is always happy to go the extra mile to ensure she meets all her clients expectations. You can count on Maxine to provide great communication so that you always know where you are during the sales process, taking some of the stress away. She understands that buying or selling your home can be very daunting and is always happy to work with you, ensuring an unforgettable and happy experience with an outstanding result. You will really enjoy working with Maxine. 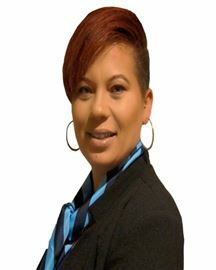 Maxine has been working in the property industry in South Auckland for the past 3 years. Maxine and her family have been living in the Papakura area for the past 7 years. She loves the sense of community Papakura has to offer. She has met some really interesting people in the industry and the local community and she has learned and shared a great deal during these years. 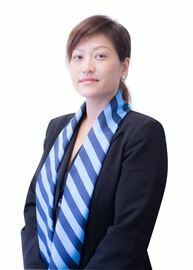 Based at the Papakura Office, of the Blue Rock Realty Ltd franchise where she has enjoyed working for the last 7 years. Sacha is fully committed to assisting her busy team of Residential & Rural Sales Consultants to achieve their goals by providing them with top quality service, and marketing / administration support. Urgent Sale - Price Dropped! Lucky You - Central Location! Stop Looking and Start Living! Bag Yourself A Big One! Priced To Sell, NOT Sit! Bring Your Own Wow Factor! Wow! Have You Seen This One? Deceased Estate, Must be Sold! Shout Out To All Invetors!